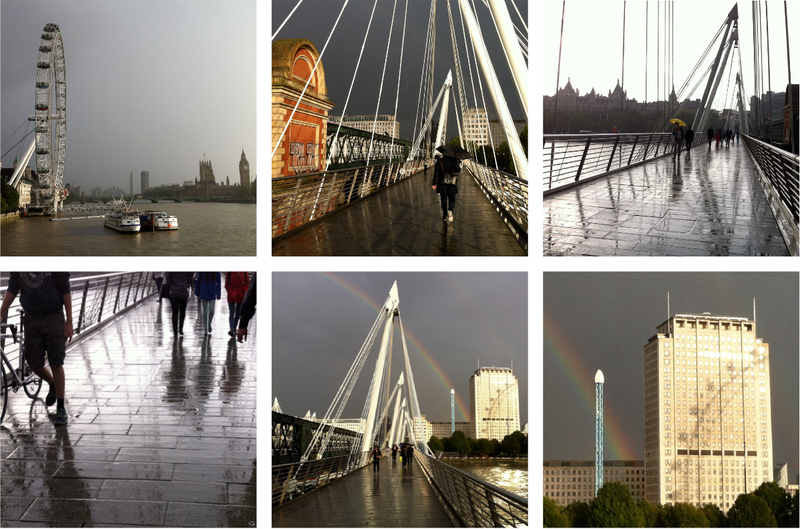 One early evening last September I was walking across the western Golden Jubilee Bridge and it started to rain. A short sharp heavy downfall was followed by a burst of strong sunshine which created a fabulous double rainbow against a deep grey sky and a shadow of the London Eye on the Shell building. I was so glad I had my camera with me that day.